In the U.S., 81 percent of the population has a social media profile. It’s an integral part of our lives. We use it to keep in touch with family and friends, stay on top of breaking news stories, find jobs and to network. We also also use social media for recommendations on services and products. This makes it the perfect arena for businesses. If your business isn’t using social media to target existing and new customers, it’s losing out. Here are five reasons why your company needs a social media strategy right now. Facebook accounts for 44 percent of all social media visits. That’s a huge audience, and for marketers and businesses, it’s been a lead gold mine. Mark Zuckerberg, however, just announced changes to Facebook’s algorithm that could strike a huge blow to brands. With its shift to more “meaningful” interactions, business pages can expect less views and engagement through their pages. 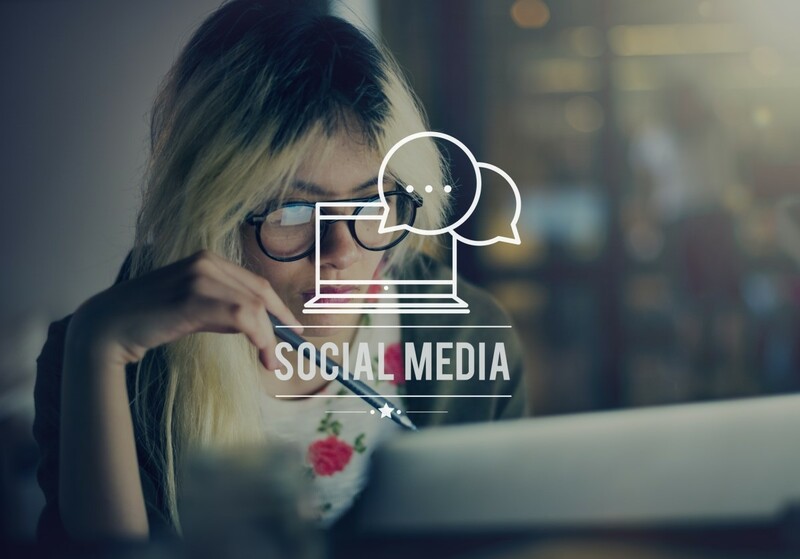 Now is the time to devise a solid social media strategy that not only addresses these recent Facebook changes, but also keeps those leads coming in to your business. Traditional window shopping is a thing of the past. Today, people use social media to compare products, scan reviews and get recommendations on products. In fact, 81 percent of women have purchased items seen or shared on social media. When it comes to buying fashion and beauty products, 72 percent of millennials say that Instagram posts influence their decisions. Overall, a whopping 74% of consumers say they rely on social media to guide their purchasing decisions. To be successful, you must have a social media strategy to not only engage current customers, but also attract new ones. You can’t simply throw out a few posts and hope people find you. Angry customers will instinctively turn to social media to vent about a bad experience. They may do this directly on your page or simply call you out in a post. Smart businesses monitor their company mentions, as well as posts to their pages, to mitigate the damage this can cause to their reputations. Quick responses to any negative content written about your business is a must. Without a strong social media strategy to address these situations, it’s all too easy for these to go unnoticed or for a simple misunderstanding to get out of hand. Have a plan in place for dealing with negative feedback, so you are not caught off guard. Once your reputation is tarnished, it can take months or years to restore it. If customers feel as though they have been heard, however, you may be able to take dissatisfied customers and turn them into loyal fans. Social media platforms are the perfect place to cultivate your existing fan (customer) base. Seek out and recognize those who give you rave reviews, engage with customer posts and reward those who continue to follow you. Although this may seem like an easy thing to do, it takes talent to devise a robust strategy for building brand awareness and brand loyalty. It’s an ongoing effort that needs to feel sincere and not overly self-promotional. Be sure you have a social media strategy that concentrates on excellent customer service and quick responses. If you get it right, your loyal customers will keep coming back and bring others with them. Unlike traditional marketing platforms, such as televisions, radio and print, social media is very affordable. In fact, the average cost per click (CPC) on a Facebook ad is around $.26 (US). From managing a brand page to running Facebook ads, even a small local business with a limited budget can find success. There are a variety of ad types (promotions) to help your business, including: boosted posts, ongoing promotions, local promotions, page promotions, customer contacts and website visitors. You can also hyper target by concentrating on a specific radius around your store, or expand your reach to engage with new customers; the options are nearly limitless. A social media strategy can help you stay on budget and drive new customers to your business. Keep in mind that you may not find success overnight. It takes time to build a following and to figure out what works. That’s why it’s so important to create a long-term social media strategy that will help propel your business to the next level. You can do this on your own, but many business owners simply do not have the time or experience needed to put everything into place. Thankfully, there are many digital marketing agencies that can help. Find one that understands your brand and vision, and one that is willing to be a partner. By working together, your business will flourish.